There's more than just pancakes! 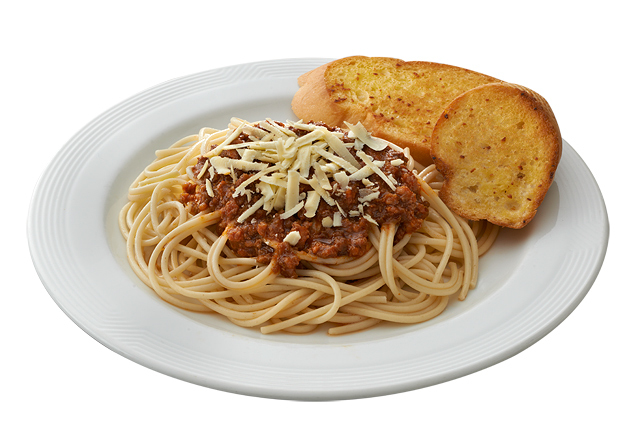 (SPOT.ph) For a lot of us, it’s hard to think of a time without Pancake House. The pancake-and-waffle restaurant, then owned by Milagros Basa, Leticia Zamora, and Carmen Zaragosa before it was acquired by Max's Group of Restaurants, opened their first branch in 1974 in Magallanes, Makati City. Since then, Pancake House has expanded their menu to include not just flapjacks but also Pinoy breakfast fare and American-diner staples. 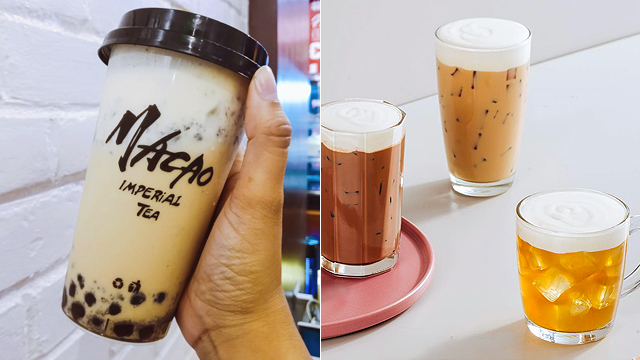 Their offerings are extensive and varied, so it can get overwhelming for a first-timer to choose what to try first. So we asked the folks behind Pancake House to tell us what their bestsellers are. 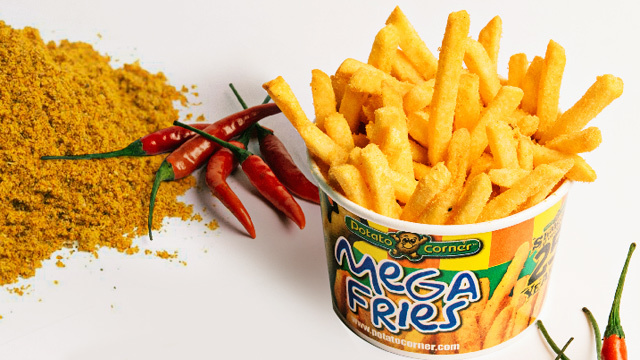 Who knows, even the most seasoned regular might find a new favorite. Here’s a fun fact: The Salisbury Steak was invented by American physician James Salisbury, who believed that humans were meant to eat more meat instead of grains or vegetables for optimum digestion—hence the hamburger patty covered in a rich gravy. 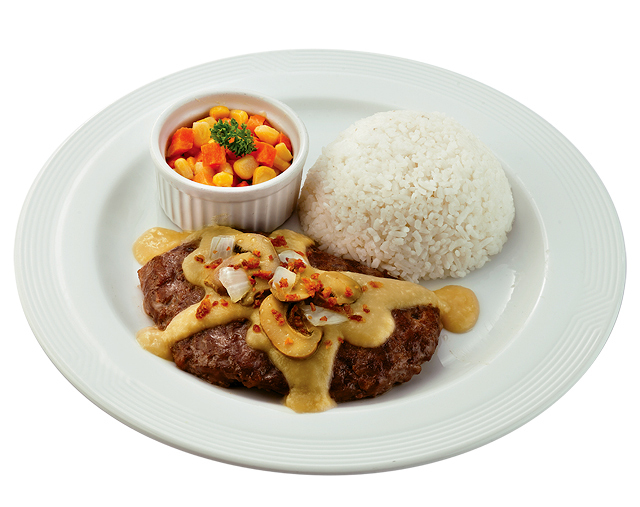 Today, the meal is best known as a reliably comforting dish so it’s no surprise that Pancake House’s Special Salisbury Steak, which has a one-third pound hamburger patty covered in a peppery-creamy gravy and bacon bits, and served with rice, is a crowd-favorite. 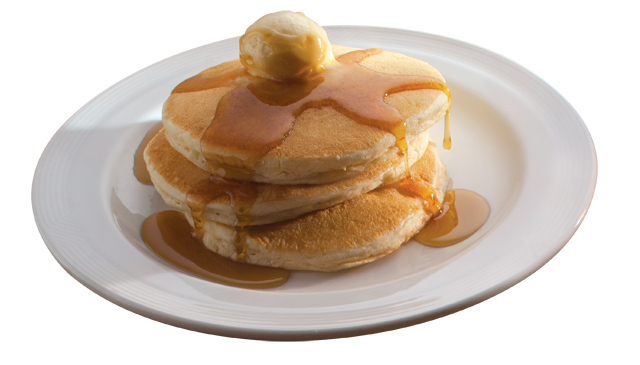 After the pancakes, the Classic Pan Chicken comes to mind when you think of Pancake House. 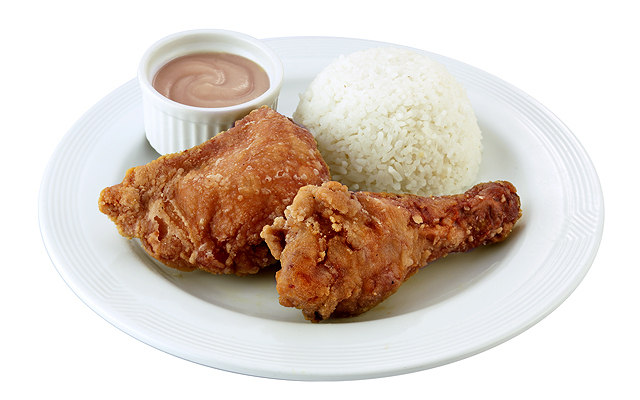 The juicy chicken is always fried until golden and has a distinctive resounding crunch to it. But what draws most people to this comfort-food classic is the gravy, which has a rich and uniquely savory flavor with just the subtlest hint of calamansi. Some suggest that Pancake House gets this flavor from liquid seasoning—we’ve yet to prove this but you can just head to the nearest branch and have your fix anyway. With a name that includes “best,” you immediately have high expectations for Pancake House’s signature taco—and with it being part of their official list of bestsellers, it looks like those expectations are consistently met. The Best Taco in Town doesn’t try to be too eclectic, with the usual fixings of ground beef cooked in tomato sauce, crisp lettuce, chopped fresh tomatoes, and shredded cheese in a crisp taco shell. What sets it apart is the sour-sweet dressing, giving this snack a vibrant zing. 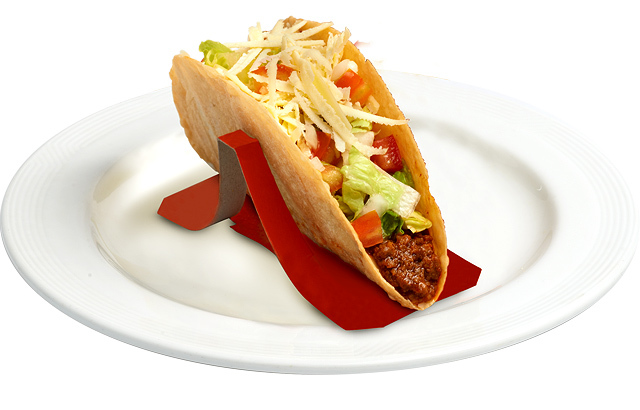 In the mood for a taco but also want something heavier? 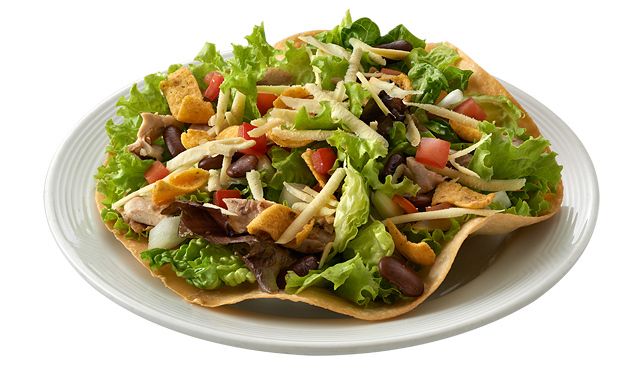 You can opt for the Fiesta Taco Salad—and yes, in this instance, a salad is still a filling option. An order is generous, with a vibrant mix of corn chips, mixed greens, kidney beans, and grated cheddar cheese—all on top of a giant taco shell. 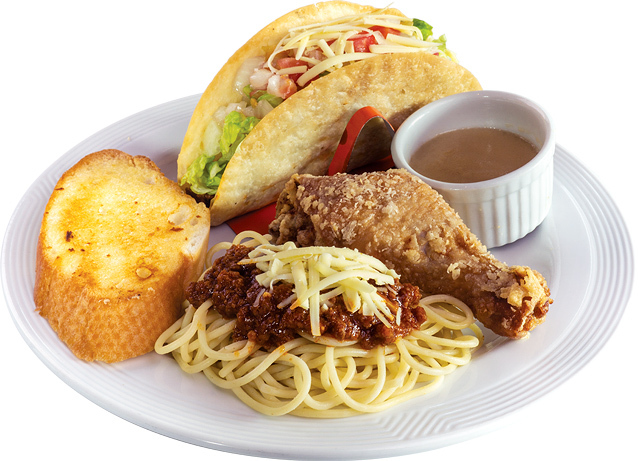 We’ve already waxed poetic about the wonders of Pancake House’s taco, fried chicken, and spaghetti so a set that has all three is practically a gift from heaven. Whenever you’re feeling extra hungry or are having trouble choosing among favorites, this set is the answer to your problems—and its popularity shows you’re not alone in thinking this. Pancakes and waffles aren’t the only all-day breakfast fare you can get at Pancake House. 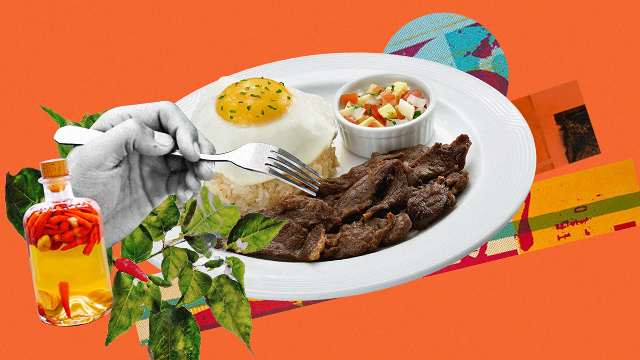 If you’ve been overlooking the Beef Tapa, now is the time to correct that error. 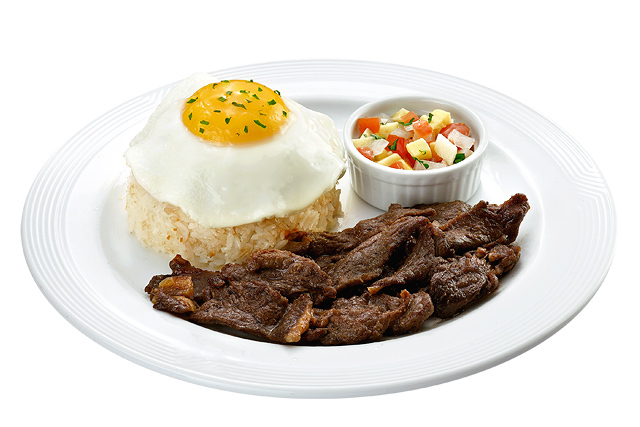 Pancake House’s version of this Pinoy breakfast favorite comes with beef tapa that’s chunkier than usual, which means there’s more surface area for the lip-smacking marinade that’s sweet, salty, tangy, and peppery. The tapa is saucier than usual, too, which makes it perfect with garlic rice. 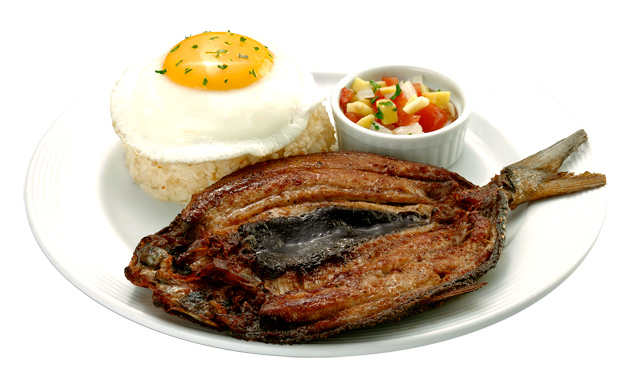 Pancake House has a lot of fish and seafood options for those looking for something lighter, and the Daing na Bangus is the most popular choice. The dried milkfish is marinated in vinegar, garlic, salt, and pepper to give it that distinctive bitingly salty and peppery flavor. Aside from garlic rice and a sunny-side-up egg, a mango salsa helps balance out the punchy flavors. A surprising entry in Pancake House’s repertoire of American-diner staples, the Almondigas Soup is a reliable choice, especially when you’re in the mood for something light yet hearty. 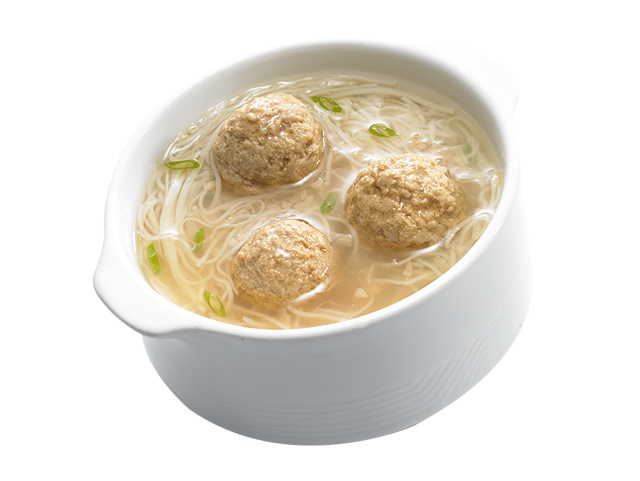 The popular soup has thin egg noodles (or misua), pork balls, and spring onions in a light and clear broth—have it as a starter or as your main meal. Either way, it will leave you feeling warm and cozy. Pancake House, of course, offers a lot of pancake variations, but it looks like classic is the king. You can’t go wrong with a stack of their light-yet-fluffy buttermilk pancakes, which comes topped with whipped butter and a generous serving of maple syrup on the side. While we’re always open to having the equally delectable Blueberry Pancakes or the indulgent Banana Walnut Pancakes, the Classic Pancakes have a homey familiarity to it that’s just so satisfying. See a list of Pancake House branches.